I’m not terribly good and beginnings and endings. I like middles. Beginnings are bumpy and fraught with unexpected muck. Endings are messy and emotional. Today is an ending and I am definitely feeling messy and emotional. While I am writing this my son is in the next room having his last session with one of his ABA therapists. 5 1/2 years ago I remember hearing the word Autism in connection with my son and feeling like I was stepping off a cliff into a hole that had no bottom. It was a messy beginning to say the least. But, that was then and this is now. I’m sitting on the sofa crying because I can’t believe we actually did it. Somehow we managed to rearrange our lives to accommodate an army of trained therapists parading through our home, coaxing our child out inch by inch, hour by hour, year by year until we finally arrived here. Here is unbelievably good. I remember the first time I ever drove to California. I couldn’t help but wonder at the tenacity of the first settlers who reached the Rocky Mountains and decided to scale them to get to the other side. For the first time I understood why places like Denver became cities. A whole lot of people looked at those mountains and decided it just wasn’t worth it. I always thought I would have been one of those people. Now, on the other side of the mountain I can’t help but look back and think, “Holy CRAP!!! Did we really just scale that?” We did. We really did. 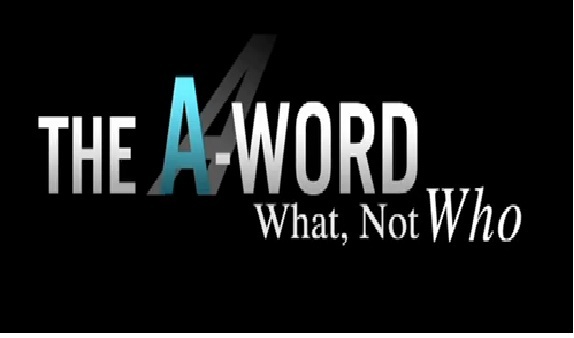 For the last few weeks I’ve been watching this really amazing docu-series on the web, called “The A-Word”. It follows a family through their early days of diagnosis and getting ABA therapy. It’s amazing. I can’t stop talking about it. For me it’s like getting to relieve those early days without all the fear, without all the uncertainty. I’m watching the family adjust to the fact that their entire life has been picked up and shaken like a box of Legos, and I find myself crying – because I know how lucky they are. I don’t know if they know it yet, but I do. But they are at the beginning and we are at the end. The Alpha and the Omega of ABA therapy for Autism. Everyone should be so lucky. I don’t know what the future holds, but I know that this journey has been life defining for me and my family. Can’t isn’t in our vocabulary anymore. Hope is something that has legs. Fear is just false evidence appearing real. Courage is a small child who doesn’t give up. Love is never giving up. Hard is meaningless and everything is possible. So, what do you do to mark such a moment occasion? We already had the party, we already went to Disneyland so today we’re just going to be normal and go see the premiere of CARS 2. That’s what 8-year-old boys want to do on a Friday night; and starting today that’s who my son is, an 8-year-old boy, just like everyone else. It is our new Alpha. Just when I think I have the food thing figured out I hear God laughing again. He laughs at me a lot. I eat really healthy, my child eats really healthy, I can’t speak for my husband but let’s just say he eats healthier now than he ever has and leave it at that. My child willing eats vegetables, even requests them, so I must be doing something right. Still….I read and wonder. I am religious about having my son on a GFCF diet (Gluten Free/casein Free for those of you outside the Autism community), he is also free of sugar and artificial sweeteners. This is not a some time thing, it’s an all the time thing. I’m the crazy woman at the birthday party with the weird-looking cupcake and the sliced beets on my kid’s pizza. So you would think that I am crazy organic too and great friends with a group of sustainable farmers. Yeah…not so much. I don’t know if the rest of you have noticed, but organic stuff is expensive. I’m talking EXPENSIVE! I used to care more about organic before the whole Autism thing came to live at my house. But Autism is even more expensive than organic vegetables so it won the fist fight. Now I’m thinking that may have been a bad choice. A new study has come out that suggests that ADHD may be linked to pesticides. Apparently pesticides are designed to disrupt something in the bug’s neurotransmitter system. I didn’t know that, I thought it just killed them. That probably sounds stupid, but I never thought about it before. I just figured it choked the bugs somehow that wasn’t great but wasn’t all that harmful to humans. You’re talking to the woman who used to run into the fog made by the DDT truck when she was a child. Those pesticides probably killed the neurotransmitters in my brain that allow for higher thinking about pesticides. I digress. If this pesticide disrupts the bugs neurotransmitters and we eat vegetables that are sprayed with it doesn’t it stand to reason that we would see a BUNCH of people having neurotransmitter issues? Oh, yeah, we have. Hmmmm. How about that skyrocketing rate of Autism, ADD, ADHD, Depression, BiPolar disorders and the list goes on. So I am arranging to have an organic farm co-op bring us a box of food every week. I don’t see how I can’t. It’s not even that expensive, maybe $10 more a week than I would have spent, but I would have spent that in gas driving to 3 different stores. It’s an adventure. I’ll let you know how it goes! I am an admitted control freak. The worst part of being a control freak for me is my unshakeable belief that I can solve all of your problems if you would just let me. I have no desire to work on my problems. Why would I? My problems are old, boring and insurmountable, not to mention complicated and convoluted. On the other hand, your problems are crystal clear – to me, and infinitely solvable if you would just do what I say. Of course it’s exhausting knowing how to fix your life and watching you resist my plan for you. Not to mention that quite honestly there are a few things that I need to take care of in my own life that I can’t seem to get to because I’m so entrenched in what you should be doing. There’s the rub. You know what they say, when the student is ready, the teacher appears….I must be ready, because my teacher has appeared. I am reading Bryon Katie’s book, Loving What Is, and I am seeing myself in a way that I haven’t ever before. Even in the first few pages of the book she has challenged me to consider that there are only 3 types of business – My business, everybody else’s business, and God’s business. Katie simply asks her reader to examine when ever they are sad, lonely, angry, uncomfortable, cranky or just our of sorts, whose business they are in when feeling that way. Her supposition is that when you are out of whack it is because you are in business that is not your own. Ugghhh. This is a little too close to home. I live in other people’s business! Still, I thought I would give it a try. Oh my! 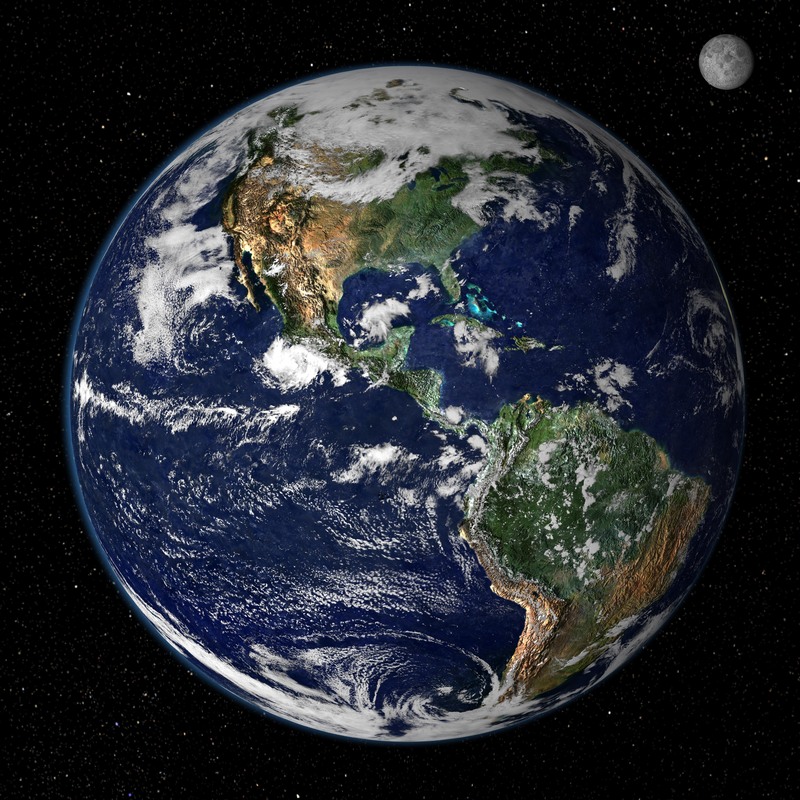 In the past 24 hours I have discovered that, oddly enough, I am rarely in my own business AND when I make a conscious choice to let go of other’s business and be in my own business…I am really happy and peaceful. Who knew? I can’t wait to read the rest of the book and see what else can happen if I stay in my own business. Is it really possible that I could turn into one of those really happy, present people who oozes peace like a Buddha on a Benadryl. I think I would like that. 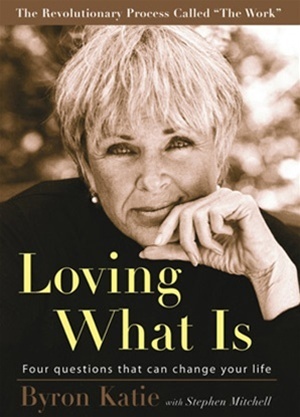 So here’s the really exciting news, I’m not only reading Byron Katie’s book, I’m interviewing her on my radio show this Monday at 4 pm PST – 7pm EST. You can tune in and listen to my chat with Katie by visiting www.toginet.com. Better yet if you want to work on getting your inner Buddha on give us a call during the live show and you can chat with Katie too! Simply call 877.864.4869 during the live show. For more information on Bryon Katie and “The Work” that she does visit www.thework.com. You can find her book, Loving What Is, by visiting here. Why is there a World Autism Awareness Day? My son was diagnosed with Autism 5 years ago. At that time I tried to wrap my head around the fact that my life was going to be significantly different from how I had imagined it. Instead of taking day trips to the zoo, learning how to ride a tricycle, or registering for T-ball my son and I were going to learning the ins and outs of intensive ABA therapy. I attempted to accept it with grace; if it was what my son needed we were going to do it. What I didn’t know, what I hadn’t counted on was that helping my son was only going to be half of my job. The other half was to educate the world around him about Autism. For me, this was harder, crueller than I could ever have imagined. I remember in the early days of our Autism journey, standing in line with my son at the bank, or attempting to. The man in front of me was not happy with me or my child. My child was moaning, attempting to escape and intermittently rolling on the floor when I could no longer restrain him. 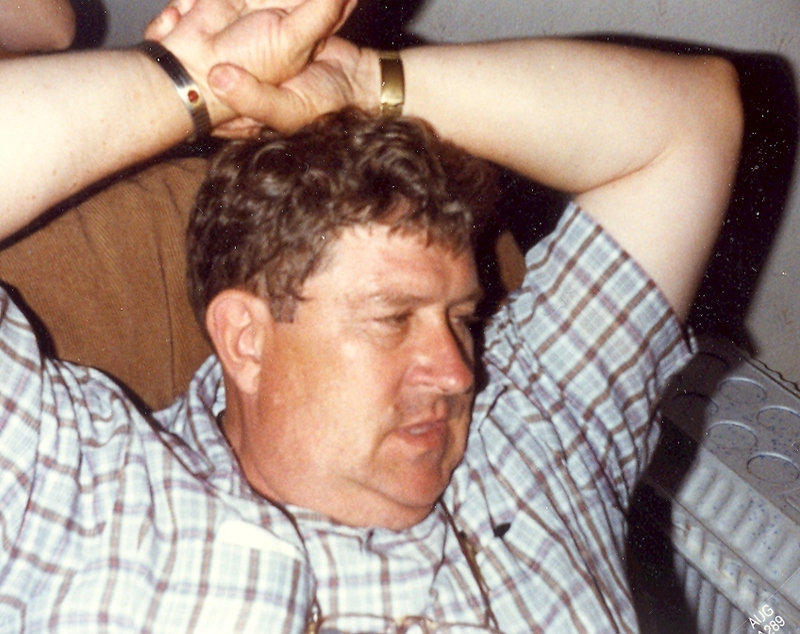 The longer the wait, the worse the behavior, and I was worn out. The man kept turning around and giving me dirty looks. I wanted to cry… for all of us. It’s not easy to listen to a child moan for twenty minutes while standing in line. I know this all too well. But I knew that in 20 minutes the man would be able to walk away. I wouldn’t be walking away and I needed him to at least understand. So…I picked my son up off the floor for the 100th time and began to talk loudly to him. I told him what a good job we was doing. The man in front of me hrumphed with derision. I continued, I loudly told my son how difficult it is to stand in line, how frustrating it is, that I too would like to cry and lay on the floor. I told my son that it was hard for adults so I couldn’t imagine how hard is must be for a little boy with Autism. I told him that I knew he was just trying to make sense of a world around him that was full of too many colors, too many noises; a foreign world where he couldn’t speak the language or understand it. I told him I knew that he was scared, but that mommy would never leave him; that I would always be patient, even when it was hard because that’s what he deserved. I watched as the man’s shoulders changed shape in front of me. Eventually he turned and looked at me offering a silent sheepish apology with his eyes. I cried the whole way home that day because I knew it wouldn’t be the only time a stranger would look at my son and make a judgement based on ignorance. I thought about how hard my child was going to have to work in order to do things that most of us take for granted, like being be able to look at someone and say, “Hello.” And the kicker? If he worked tirelessly to accomplish this, for him, heroic deed his reward would a simple, “Hello.” back. The respondent would have no idea how hard-won the exchange had been. 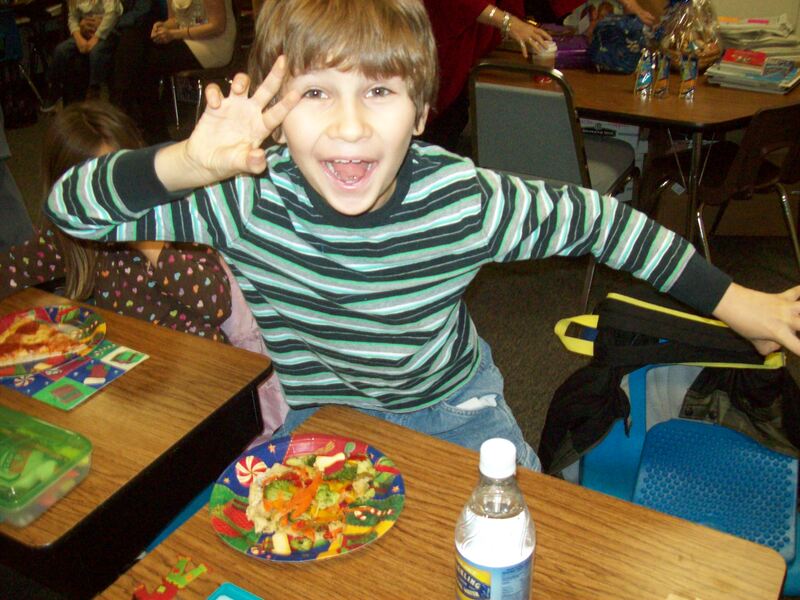 Five years later, I continue to be shocked by what the world does not know about Autism. People tend to have an image in their heads of what they think Autism is and they tend to apply that to anyone who has Autism. Unfortunately, this is tragically inappropriate. Autism presents differently in everyone it affects. There are some children who can’t bear to be touched, others who need frequent touches in order to stay calm and focused. Shockingly there are still some people who think Autism is not real and simply a function of bad parenting. Ignorance is bliss apparently, but it can’t last long. As more and more children are diagnosed in epidemic proportions it is only a matter of time before such ignorance is faced with the stark reality of truth. If Autism does not currently touch your life, it will soon. Statistics promise it. I wish it weren’t true. Everyday I pray that brilliant unbiased minds continue to search for all of the potential causes. While they do that I continue to plod along doing my job, trying to make a world where my son and children like him are seen for the true heroes they are. World Autism Awareness Day is April 2nd this year. On that day I hope you will participate. Make your FaceBook Profile picture blue! Show compassion when you see children and adults with behavioral issues. Visit Autism Votes to find out how you can urge your representatives to further insurance reform so Autism treatments will be covered in every state. Urge the school administrators in your area to participate in Skills for America to receive grants to help educate children with Autism. Ask questions…there may not be an answer, but if we keep asking the questions the answers will come. If you know me or follow my story at all, you know that my son is in the process of recovering from Autism. 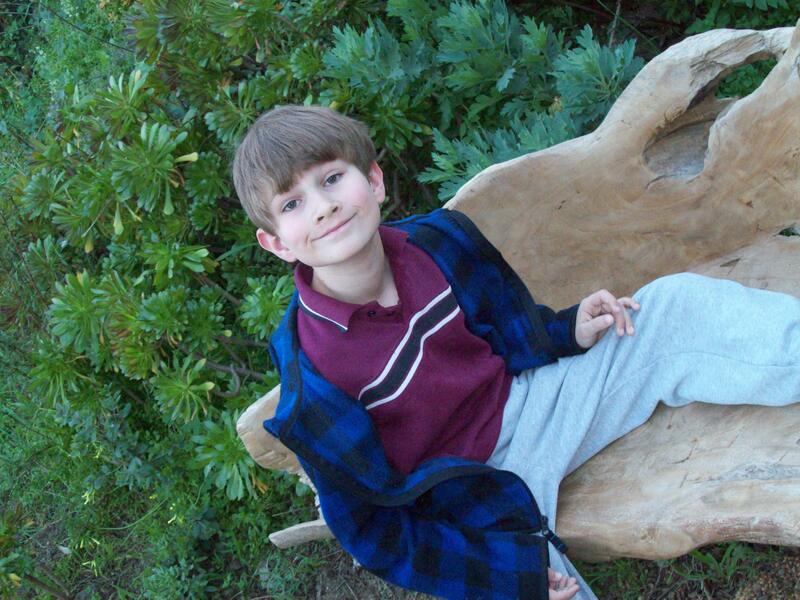 Jem was diagnosed with Autism 5 years, 25 days, and approximately 4 hour and 15 minutes ago. But who’s counting? On that very first day when he was diagnosed I felt so many emotions. I was relieved because I figured that now we had a name for it we could help him. I was overwhelmed because I didn’t know what that help was and I was terrified to the core of my being that I was going to let my little guy down somehow. I promised myself that I would do everything that I could for him and that somehow, someday I would try to help other parents who faced this devastating diagnosis. A lot of water has meandered under the bridge in the last five years but all in all everything has turned out great. My child is a walking, talking miracle thanks to the intensive ABA therapy he has received from The Center for Autism and Related Disorders. 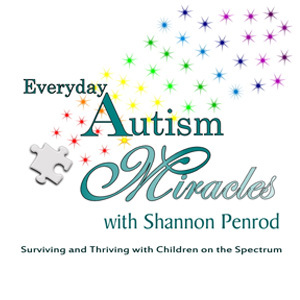 As for me, for the last year I have been busy hosting a radio show about Autism called Everyday Autism Miracles. The show is focused on the positive things that are happening in the world of Autism. This week Everyday Autism Miracles is moving to its new time slot: Mondays at 7pm EST, 6pm Central, 5pm Mountain time, and 4pm Pacific time. The move was necessary to make room for my new gig as the host of Skills Live. Back in September I was invited to see the unveiling of a new tool in the fight against Autism. It was an amazing program called SKILLS developed by The Center for Autism and Related Disorders, the same people who gave me back my child. I saw SKILLS and fell in love. When I tell you that it was a life changing moment, I’m not kidding. I saw clearly, for the first time, the answer to a problem that had been dogging me for years: “How on earth are we ever going to get the help my child has received to all of the children with Autism?” SKILLS answered that question for me. It gave me hope. It made me shake for hours, I was so excited. I had to pull the car over and call my husband, I was that inspired. To now get to work on this project, well it’s beyond my wildest dreams. Early this Spring I will begin hosting a live webcast every weekday morning; helping parents, teachers and caregivers to get the very most out of this revolutionary new tool. I’m pretty sure that makes me the luckiest person on the planet. For now, while we are in the pre-production phase, I continue to be in awe of the amazing minds that are working tirelessly to recover our kids from Autism. It is beyond humbling to work with these brilliant people. Everyday Autism Miracles will continue on in its new time slot. Right now we are finishing up a series on what to do when your child is first diagnosed. Free podcasts of all of the shows are available on the show page and on iTunes. If you or someone you know loves a child with an Autism Spectrum Disorder I hope you’ll encourage them to tune in. There’s more hope than ever. I also hope you’ll check out SKILLS to see exactly why I’m so excited. You can even take advantage of a free trial opportunity to do a wonderful ELearning program that effectively teaches you everything you need to know about ABA therapy in order to be a knowledgeable member of your child’s team on the road to recovery. The free trial is almost up so check it out today. This is the beginning of a new chapter for me. I am excited and grateful. It has not escaped me that as this journey begins as another is winding to a close. The truth is I couldn’t even consider doing this job if Jem weren’t doing so well. It has been an amazing five year journey. There is a moment at the end of To Kill a Mockingbird where Harper Lee narrates about getting ready to go to the Halloween Program at her school. She is speaking of her brother Jem, whom my son is named after and she says, “Thus began our longest journey together.” I have thought of that line so often over these five years. I can honestly say that it has been a privilege and an honor to have shared this path with my son and husband. Now with light at the end of the tunnel so clearly in sight there is nothing to do but look forward. And I do.